In the full-size SUV segment, the Lincoln Navigator has always been engineered and marketed as a true “man’s vehicle.” With its truck-based driving dynamics, rugged unibody construction, and plenty of power, interior space, and towing ability, this vehicle is not for the faint-hearted. And a plethora of tech and premium features only sweeten the deal. 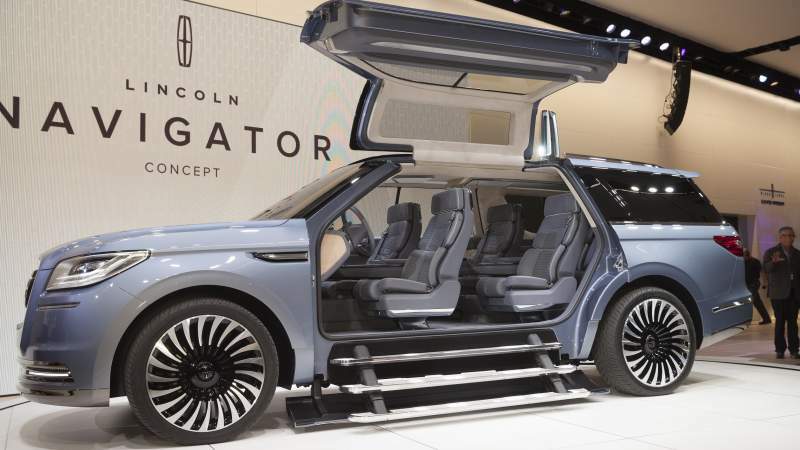 A product of Ford’s luxury-oriented Lincoln division, the Navigator is currently in its fourth generation of production, which it kicked off at the 2016 New York International Auto Show with the 2017 model year. Lincoln offers two trim packages on the Lincoln Navigator: the 4.10 Axle Package and the Heavy-Duty Trailer Tow Package. Optional on the SWB and standard on the LWB, the 4.10 Axle Package optimizes torque to enable the SUV to take off much quicker and accelerate much faster. Plus, it enhances towing performance beyond the standard 3.73 axle on the Navigator. Speaking of towing performance, it can be maximized to 9,000 lbs—best numbers in the large SUV class—with the Heavy-Duty Trailer Tow Package. 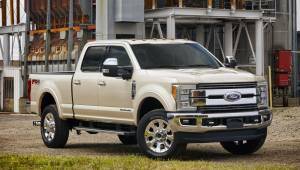 Credit is due to what constitutes this package: rear load-leveling suspension, four-pin and seven-pin wiring harness, heavy-duty flasher, heavy-duty hitch with 2-inch receiver integrated with rear bumper, heavy-duty radiator, and heavy-duty transmission cooler and brake module wiring. The sole available luxury package on the Lincoln Navigator is the Invision™ dual-headrest DVD entertainment system. Optional both trims and wheelbase versions, the system features two 7-inch color LCD widescreen monitors embedded in the front-row head restraints and accompanied by top-slot-loading disc players, two dual-channel infrared headphones, and a remote control. Powering the Lincoln Navigator is the 3.5-liter twin-scroll turbocharged EcoBoost V6, which made its debut in the 2015 model year. The engine produces 380 horsepower at 5,250 RPM and 460 lb-ft of torque at 2,750 RPM. Hitched to the V6 is a 6-speed automatic transmission, which comes with SelectShift®. 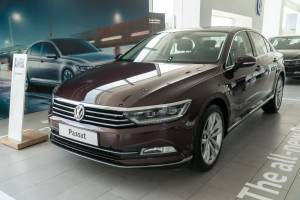 This technology enables you to switch between the regular automatic gear-shifting “Drive” mode and a semi-automatic gear-shifting “Sport” mode that allows you to choose between automatic Sport shifting and manual shifting. Drivetrain choices on the Navigator consist of a rear-wheel drive system (4×2) and a four-wheel drive system (4×4). Fuel economy performance depends on wheelbase and drivetrain configuration; for the vehicle’s peak gas mileage of 15 mpg in the city and 21 mpg on the highway, go with the SWB Navigation with 4×2. Fortified by stabilizer bars and coil-over shocks, the all-wheel independent suspension on the Lincoln Navigator has a short- and long-arm design at the front and a multi-link design at the back. Electric power-assisted steering not only ensure sharp turns and precise cornering, but save energy by avoiding drawing power from the engine. Power-assisted four-wheel disc brakes keep distances nice and short, with anti-lock braking to prevent the wheels from locking up when you apply the brakes. In the cabin, the Lincoln Navigation provides three rows of leather-trimmed seats for accommodating up to eight people. The first row includes 10-way power adjustability and heating and cooling capability on the driver and front passenger seat. The second row of seats also has heating capability. Passenger volume is measured at 159 cubic feet on the SWB and 168.3 cubic feet on the LWB; maximum cargo space is 103.3 cubic feet and 128.2 cubic feet, respectively. To keep you entertained on every trip, the Lincoln Navigator features the THX® II Certified 5.1 Surround Audio System, which provides 600 watts of power with its 12-channel amp and 14 speakers. Included with the system are HD Radio™ and SiriusXM® satellite radio service, as well as Bluetooth® technology for hands-free phone calling and audio streaming. And the SYNC® 3 voice-activated navigation system integrates all infotainment functions, with a huge color touchscreen for turn-by-turn directions and Apple CarPlay and Android Auto to enable control of the stereo system with your smartphone. Other sources of comfort and convenience on the Lincoln Navigator include dual-zone automatic climate control, power liftgate, remote keyless entry, remote start system, auto dimming on the rearview mirror, push-button engine start, HID projector headlights with LED signature lighting and daytime running ability, and chrome roof-rack side rails for extra cargo carrying ability. There’s also a memory system for storing position adjustment of the driver’s seat, exterior mirrors, foot pedals, and steering column. For protection in the event of an auto crash, the Lincoln Navigator is equipped with a pair of front impact airbags that face the driver and front passenger, a pair of side impact airbags installed on the first row of seats, and a pair of side curtain airbags that are installed on the roof and flank all three rows. A rearview camera with forward and reverse sensing systems ensures that you are fully aware of your surroundings—whether it’s parallel parking or backing out of a garage. The highly AdvanceTrac® system with Roll Stability Control™ and traction control keep you on your intended driving path and tires firmly planted on the pavement. The SOS Post-Crash Alert System™ provides immediate emergency assistance in the aftermath of an accident. And the blind spot information system with cross-traffic alert increase your alertness to cars or objects you cannot easily detect. For security, the Navigator comes with the SecuriLock® anti-theft system, which includes the SecuriCode™ keyless entry keypad for entering your personalized code. If you go with the 4×4 drivetrain, hill start assist and hill descent control are added on the vehicle; the former prevents rollover when shifting from Park to Drive on a steep hill, and the latter ensures a smooth and controlled descent from a hill in rough terrain without the need to touch the brake pedal. The Navigator’s strongest direct rival is the Cadillac Escalade, which is also available in regular- and long-wheelbase configurations. However, it has a bigger, more powerful V8, and its lavish interior is virtually unequalled among full-size luxury SUVs. The Range Rover and the Toyota Land Cruiser are notable for their relatively high levels of off-road capability, and the Mercedes-Benz GL-Class stands out with its ability to absorb the turbulence of rough terrain. Two areas in which the Lincoln Navigation excels are engine power and interior space. As a result, acceleration is quick, towing ability is top-tier, and the cabin is one of the largest in the large SUV segment. On the other hand, the Navigator’s luxury orientation—particularly its interior manufacture—is upended by some of its main competitors. Due to its wheelbase and trim choices, the Lincoln Navigator has four starting MSRPs. The SWB version has a starting price point of $63,515 on the Select and $71,580 on the Reserve; the LWB has starting MSRPs of $65,905 and $73,970, respectively.